Yes, you read it right. Didier Drogba, a Chelsea forward, who used to play for Galatasaray and is the team captain and star striker for the Ivory Coast national football team, ended Ivory Coast's civil war. For five years (2002-2007) in the Ivory Coast, the northern region was held by the rebels and the southern was held by the government loyals. 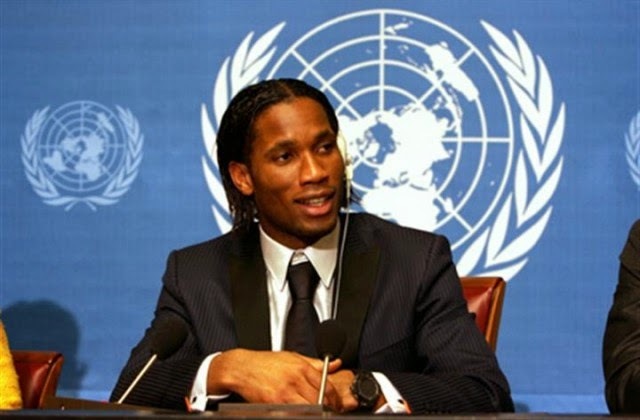 Drogba pleaded the warring factions to have a cease-fire. Surprisingly, they heard him and a cease-fire was enacted. 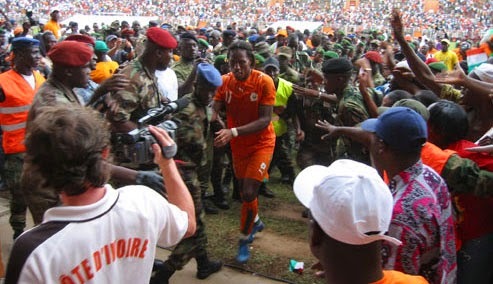 Drogba suggested in an interview that the game against Madagascar be played in Bouake, the rebel-north’s capital city. The game brought the whole country together for the first time in five years. Government military were invited to the game to help maintain control during and after the soccer match. It was the first time in five years that they’d been in the north without any violence and fighting involved. After the game, the rebellion army and the government military worked together to control the crowd. The Ivorian Elephants beat Madagascar 5-0. However, he did manage to describe his emotions after the ceasefire agreement. "I have won many trophies in my time," he explained, "but nothing will ever top helping win the battle for peace in my country. I am so proud because today in the Ivory Coast we do not need a piece of silverware to celebrate." Drogba brought the country together again through soccer. Men began dressing like Drogba and women fell head over heels for him. Drogba became an icon.